Join us for a special Chuckanut Radio Hour, to kick-off the Chuckanut Writers Conference (CWC), at the Bellingham High School Theater. This month we are hosting special guests The Rejections (and Trailing Spouses), a band composed of authors and authors' spouses (which means they know a lot about rejection! ), including 2013 CWC faculty members Garth Stein and Jennie Shortridge. Click here to give them a listen. This special edition of the Radio Hour will also feature a conversation with the authors in the band, moderated by poet Frances McCue, on "The Writing Life." The Radio Hour will be followed by an author book signing. The Rejections (and Trailing Spouses) formed in late 2012, and their first ever gig was at the launch party for Seattle author Erica Bauermeister's third novel, The Lost Art of Mixing. They are all authors or working partners of authors, and won't quit their day jobs, but come most Tuesday nights, you'll find them practicing away for the next book launch, fundraiser, or party. The Rejections are: Garth Stein, Stephanie Kallos, and Jennie Shortridge. The Trailing Spouses are: Matt Gani, Paul Mariz, and sometimes Ben Bauermeister. But who knows; the lineup may change at any time. They hope someday to include Erik Larson on tambourine. The Chuckanut Radio Hour, a recipient of Bellingham's prestigious Mayor's Arts Award, is a radio variety show that began in January 2007. Each Chuckanut Radio Hour features a guest author and includes guest musicians, performance poet Kevin Murphy, Cascadia Weekly columnist Alan Rhodes, an episode of "The Bellingham Bean" serial radio comedy, and some groaner jokes by hosts Chuck & Dee Robinson and announcer Rich Donnelly. The Chuckanut Radio Hour's first guest was Erik Larson and has since included Alexander McCall Smith, Elizabeth George, Cheryl Strayed, Sherman Alexie, Tom Robbins and Garrison Keillor, among many others. The Radio Hour airs every Saturday evening at 6pm and Sunday at 9pm on SPARK RADIO, KMRE 102.3FM. Tickets for the Chuckanut Radio Hour are $5 and are available at Village Books and at BrownPaperTickets. Doors open at 6:30pm, and you must be seated by 6:45pm as the show begins at 7pm, sharp! Co-sponsored by the Chuckanut Writers Conference, Whatcom Community College Foundation, 12th Street Shoes, Fairhaven Pizza, and the Fairhaven Village Inn. Jennie Shortridge's book Hotel Angeline: A Novel in 36 Voices was available from LibraryThing Early Reviewers. Jennie Shortridge's book When She Flew was available from LibraryThing Early Reviewers. 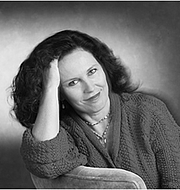 Jennie Shortridge is currently considered a "single author." If one or more works are by a distinct, homonymous authors, go ahead and split the author. Jennie Shortridge is composed of 1 name.